News TV Channel / KATV, virtual channel 7 (UHF digital channel 22), is an ABC-affiliated television station licensed to Little Rock, Arkansas, United States. Owned by Sinclair Broadcast Group, KATV maintains studio facilities located on Main and East 4th Streets in Downtown Little Rock, and its transmitter facilities are located on Chenal Mountain, near the Chenal Valley neighborhood of Little Rock. 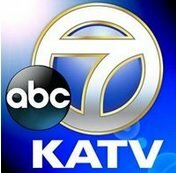 On cable, KATV is available on Comcast Xfinity channel 8 in standard definition (Pine Bluff-licensed MyNetworkTV affiliate KASN is carried on cable channel 7) and digital channel 1008 in high definition.